I took a quick trip to South Wales on Tuesday 17th October. 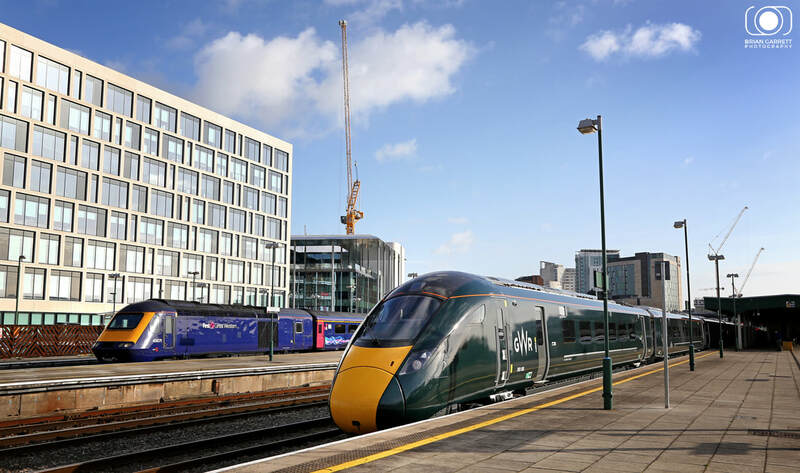 Scenes on the railways are always changing but no more so than at the moment, both in terms of the new trains which have been introduced to replace the 40 year old HST's, but also in terms of the prolific high rise building work which is completely changing the skyline of Cardiff. 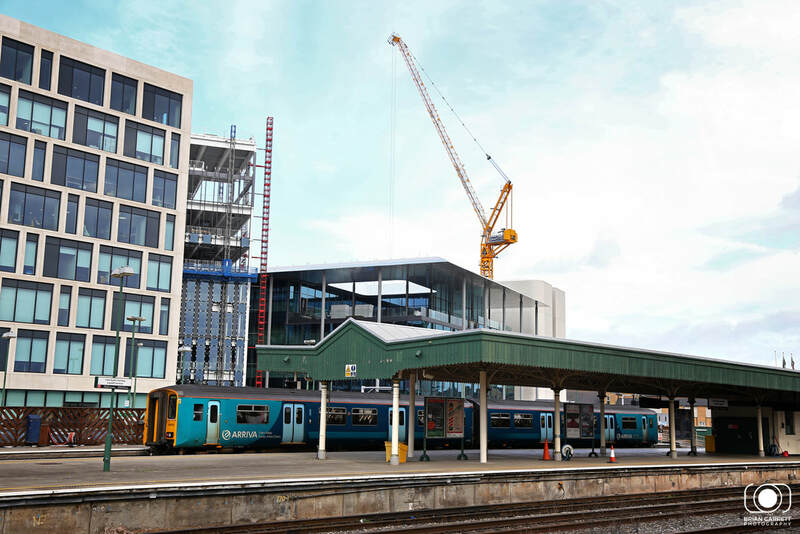 In recent years millions of pounds of development money has been poured into the city centre and bay areas of the city, sparking a building and regeneration revolution. 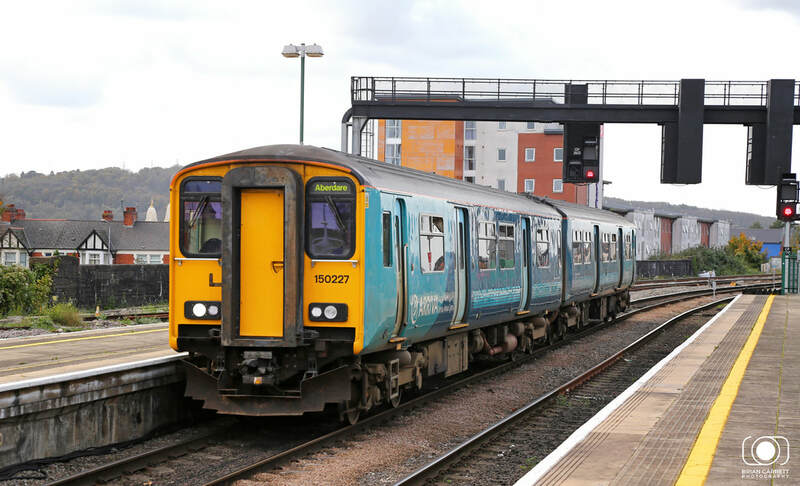 During my short visit to the area I recorded some of the railway operations which can be viewed in the Cardiff area, and also traveled on board the brand new Class 800 IEP trains on only their second day in service. 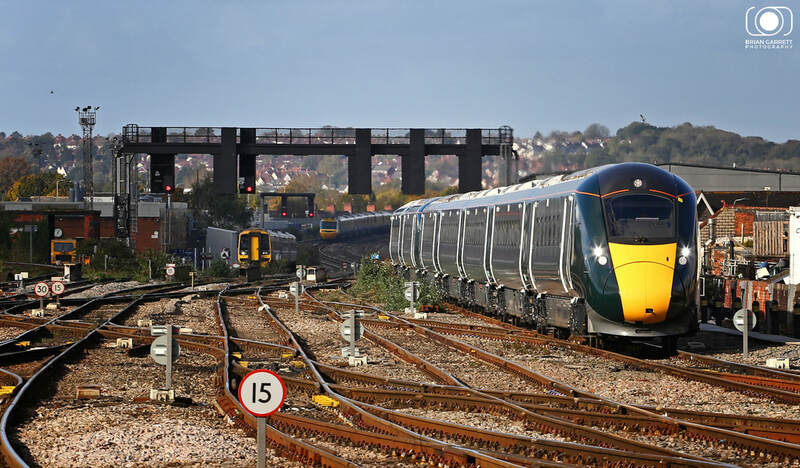 Despite the adverse PR disaster for GWR and the media attention on the train faults, delays and standing room only on the first trains, the new IEP's are impressive. In time once their faults have been ironed out they will settle into their new operational roles quickly. 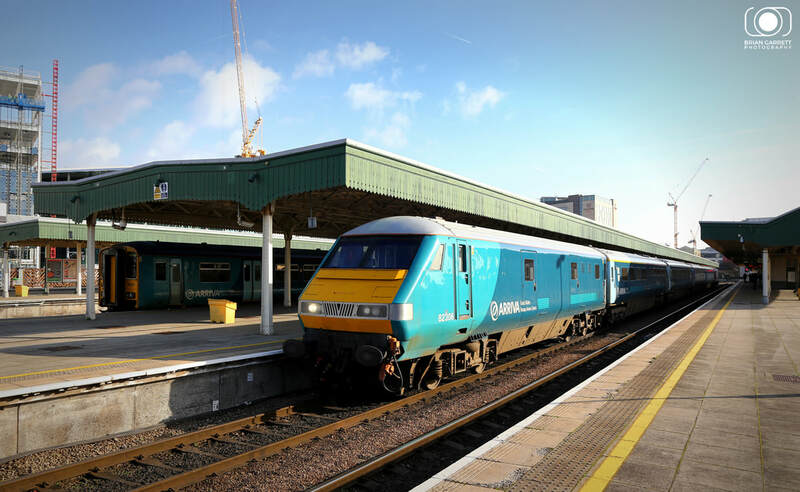 Arriva Trains Wales Class 82 No.82306 stands at Cardiff Central having arrvied with the 1V91 05:33 Holyhead to Cardiff service. 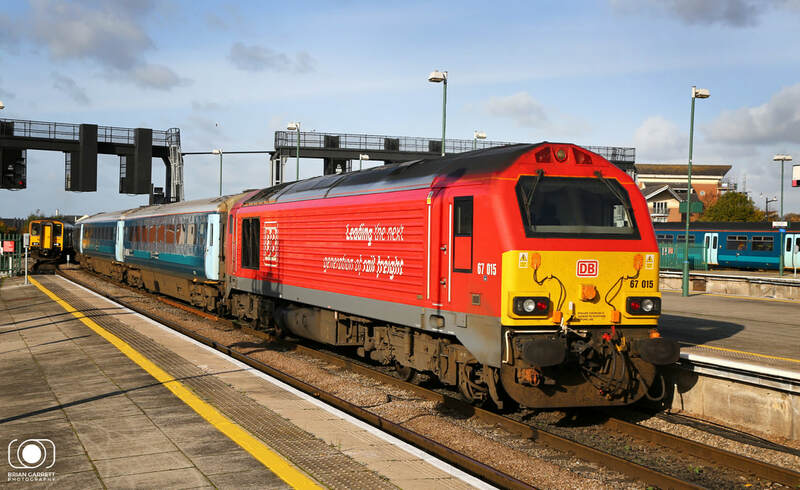 DB Cargo Class 67 No.67015 departs from Cardiff Central with the empty stock from the 1V91 05:33 Holyhead to Cardiff Central service on the 17th October 2017. The stock remains on Cardiff Depot all day before forming an evening service back to Holyhead. 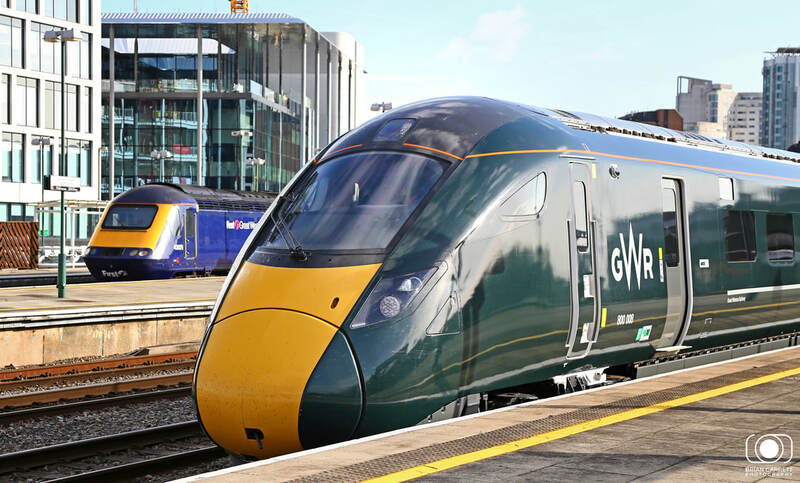 On only their second day in public service GWR IEP Class 800's No.800008 & 800009 are pictured at Cardiff Central having arrived with the 1B12 08:15 London Paddington - Cardiff service, and booked to return on the 1L51 10:55 Cardiff - London Paddington. 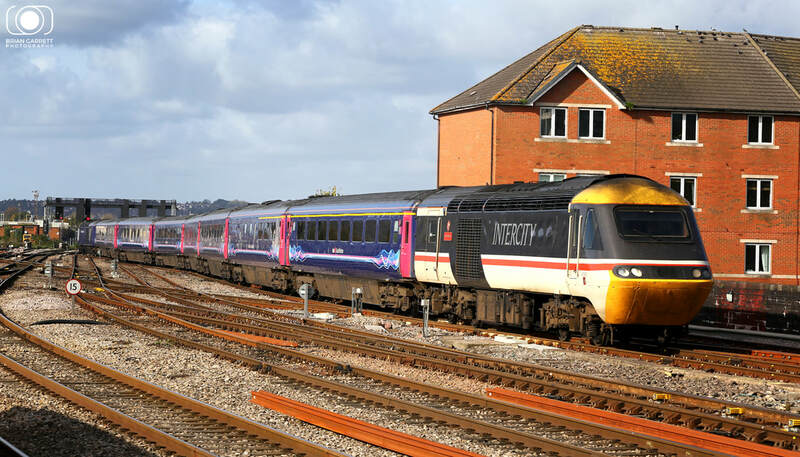 Captured alongside the classic shape of the Intercity 125 which will will be soon replaced by the IEP fleet. Both are posed infront of the brand new BBC Wales headquarters which is nearing completion. 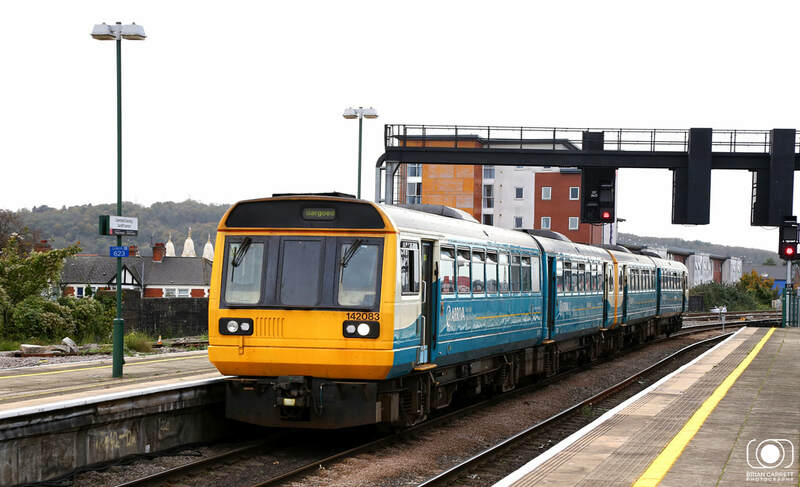 Arriva Trains Wales Class 142 No.142076 arrives into Cardiff Central on the 17th October 2017 working the 2F12 09:38 Ebbw Vale to Cardiff Central service. Two differing generations of trains are pictured at Cardiff Central on the 17th October 2017. 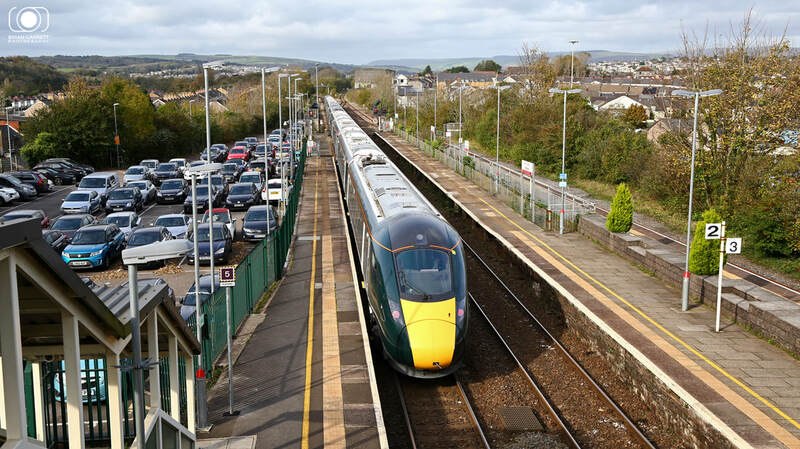 Class 800 IEP No.800008 on only its second day in public service and Great Western HST No.43071. 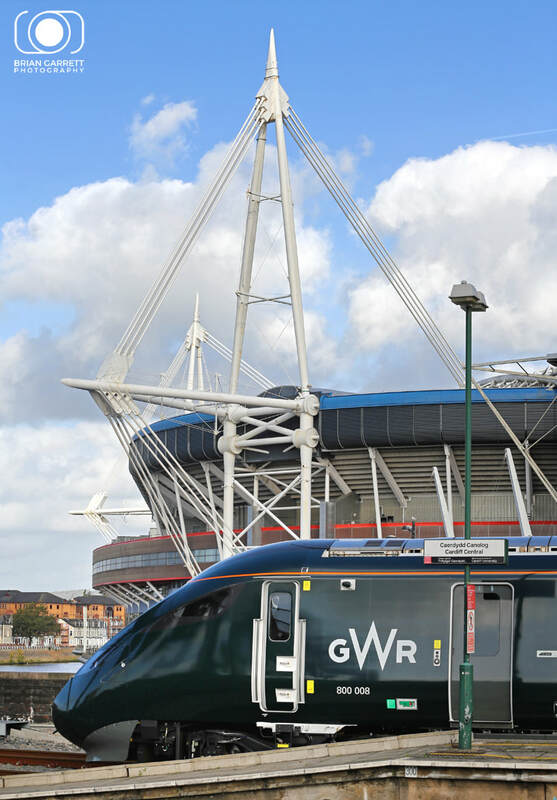 GWR Class 800 No.800008 is pictured at Cardiff on the 17th October 2017 ready to depart with the 10:55 to London Paddington. Behind is the new construction of the BBC Wales building which is slowly takeing shape on the skyline. 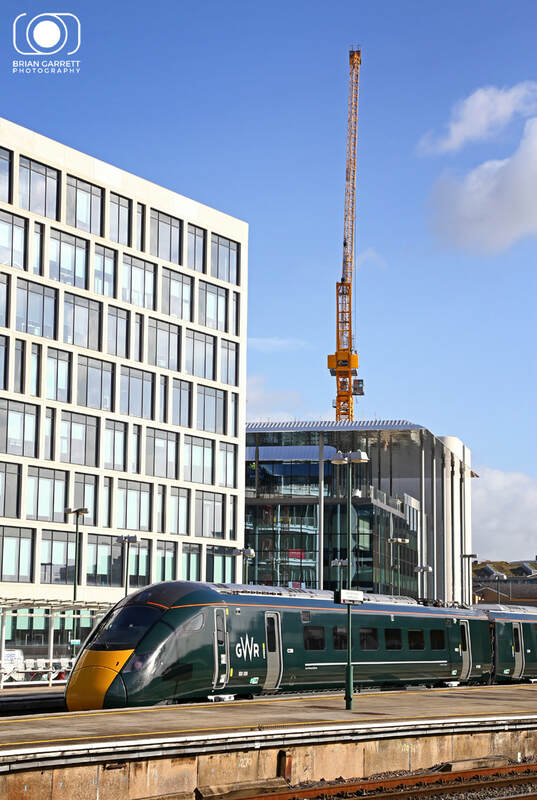 Intercity Swallow liveried HST No.43185 'Great Western' arrives into Cardiff on the 17th October 2017 working the 1L52 10:29 Swansea - London Paddington service with 43149 trailing on the rear of the set. 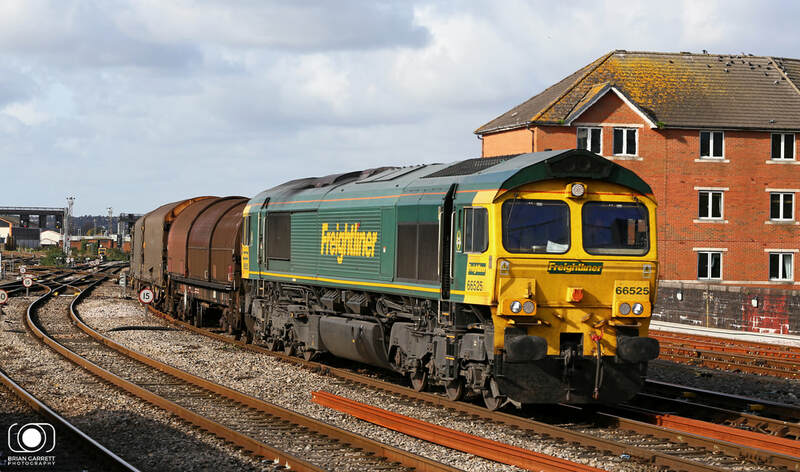 Freightliner Class 66 No.66525 approaches Cardiff Central on the 17th October 2017 hauling the 6M86 10:29 Margam - Dee Marsh steel. 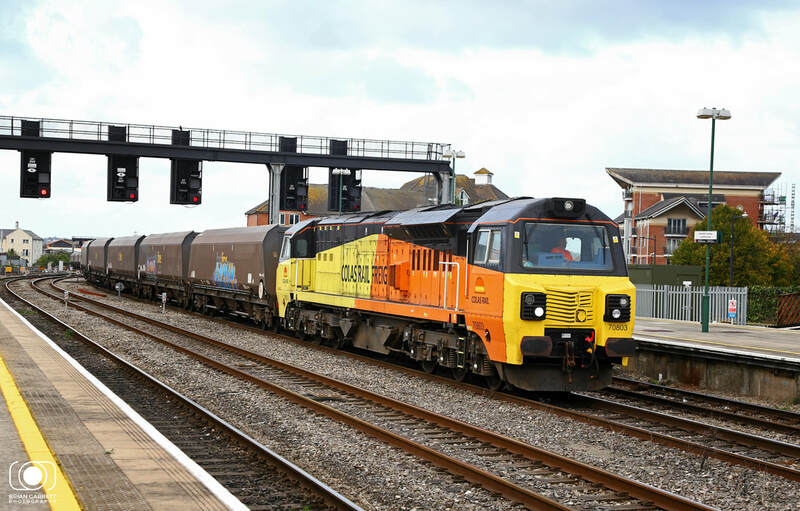 Colas Rail Frieght Class 70 No.70803 passes through Cardiff Central 4C21 10:15 Aberthaw - Avonmouth coal empties on the 17th October 2017. Arriva Trains Wales Class 150 No.150278 arrvies into Platform 0 at Cardiff on the 17th October 2017 while working the 2N17 13:34 Cardiff to Ebbw Vale Town service. Arriva Trains Wales Class 150 No.150227 arrives into Cardiff Central on the 17th October 2017 with the 2A32 12:42 Bridgend to Aberdare service. 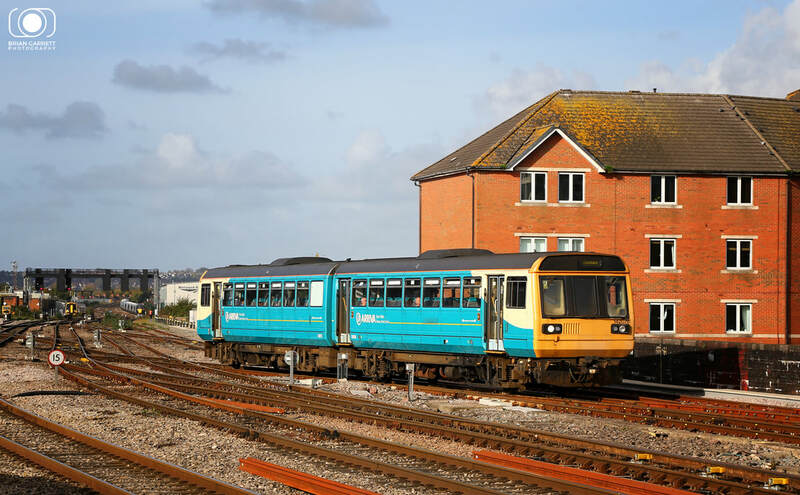 Arriva Trains Wales Class 142's No.142083 arrive into Cardiff on the 17th October 2017 working the 2D44 13:47 Penarth to Bargoed service. On only their second day in public service GWR IEP's No.800008 & No.800009 depart from Bridgend Station with the 1B40 13:45 London Paddington to Swansea service. 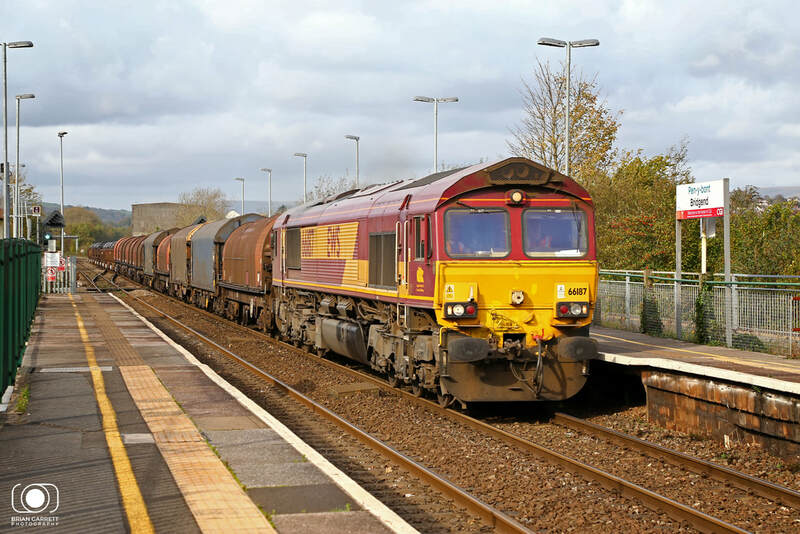 EWS liveried Class 66 No.66187 storms through Bridgend while hauling the 13:58 Margam - Llanwern steel on the 17th October 2017. 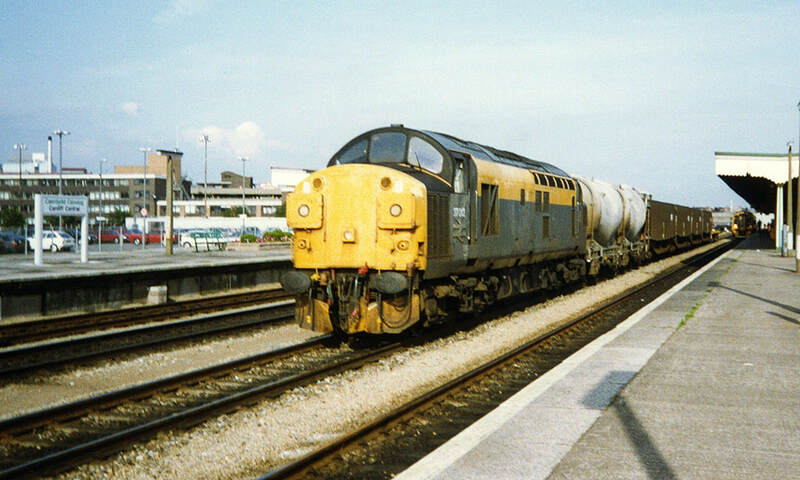 Civil Engineers 'Dutch' livery Class 37/0 No.37012 passes through Cardiff Central with a mixed freight during the 1990's heading west. 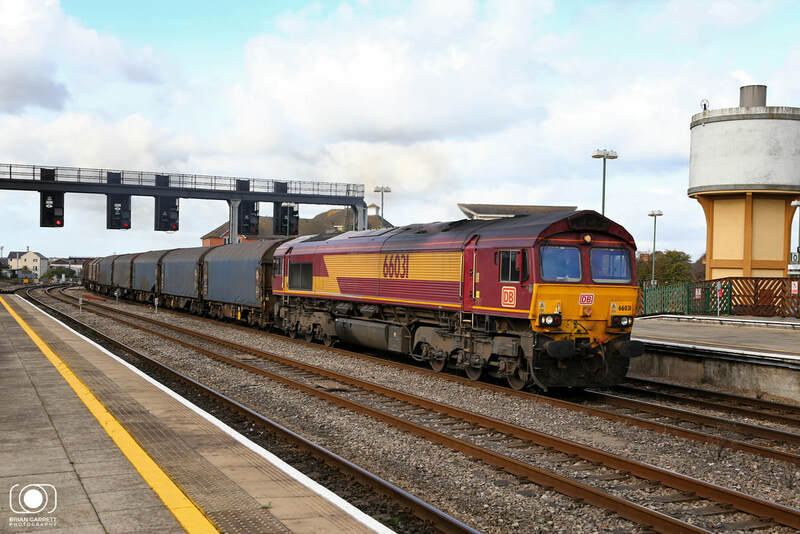 DB Cargo Class 66 No.66082 passes through Cardiff Central Station haulign the 6B09 09:30 Newport ADJ to Margam limestone on the 17th October 2017. 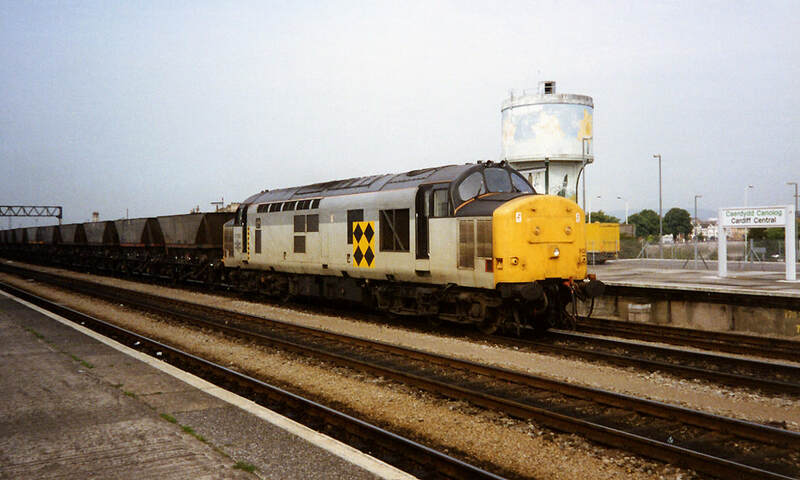 Trainload Coal Class 37 No.37800 heads east through Cardiff Central with an MGR train during the 1990's. 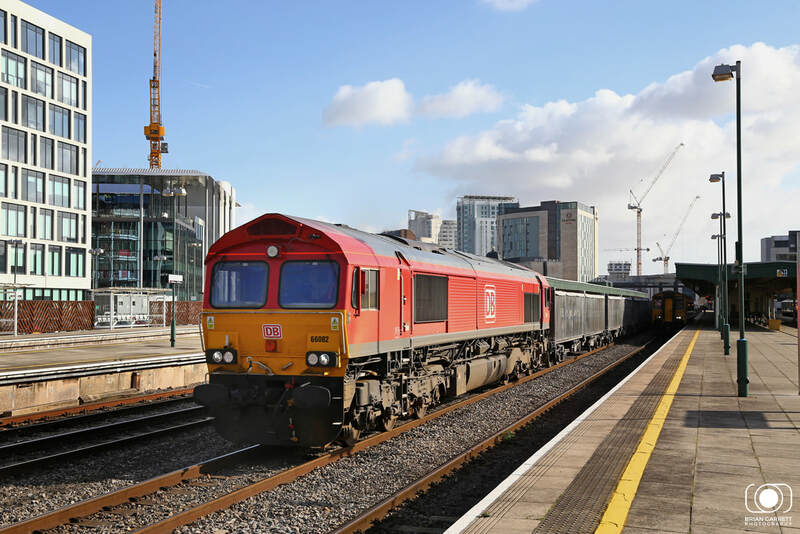 DB Cargo Class 66 No.66031 passes through Cardiff Central on the 17th October 2017 hauling the 2H25 09:22 Margam to Llanwern steel.